You no longer have to get under the hood to adjust the temperature at which your coolant fan goes on. Now you can set the coolant temperature right from the driver's seat. 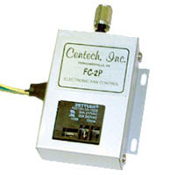 The FC-3 fan control relay kit automatically operates your cooling fan to hold the engine at a set temperature. Choose from 185or 195 degrees.